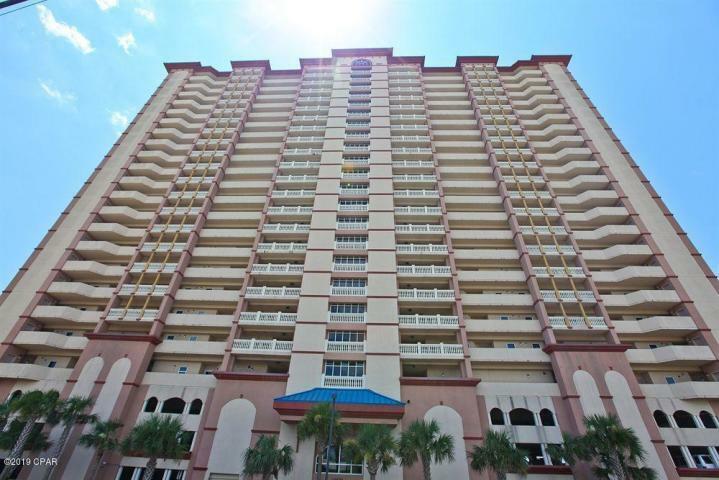 14825 Front Beach Road , #unit 2003, Panama City Beach, MLS# 820159: ERA American Real Estate Buy A Florida Vacation Home, Schedule a Showing, Call Brandon Jordan of ERA American Real Estate Today! Sunrise Beach unit 2003 has the PRIME location in the deluxe 25-story Gulf front complex, offering dramatic Gulf views over the elevated pools. This turnkey offering conveys fully furnished and rental ready. Interior features include a spacious and open floor plan with raised ceilings. The fully equipped kitchen has beautiful granite countertops & breakfast bar. Master bedroom is Gulf front with balcony access. On-suite master bathroom features tile floors, double vanity, large garden tub, and separate walk-in shower. Kitchen, dining, and living area have huge gulf views. Guest bed room and bonus bunk room are larger than most Generous balcony is accessed through large glass sliders from both the living area and master bedroom. This information was last updated on 4/20/2019 10:03:59 PM.